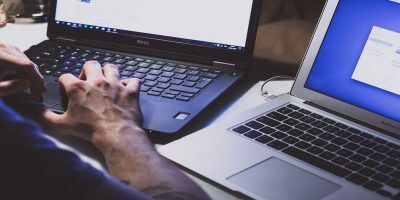 Those who use file sharing services on a regular basis know only too well that downloading files from these services can be a very daunting task. But most of us stuck in this “hate ’em but need ’em” kind of relationship and can’t break free. Luckily, others hate the problem as much as we do and many have come up with solutions. 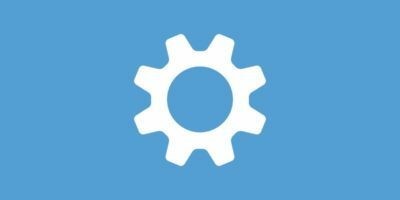 There are several download managers available out there which are specially built to overcome the hassle. But having options is never a bad thing. 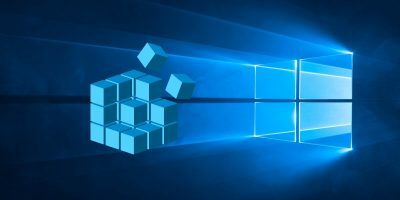 Windows users can use MDownloader as an alternative to less-hassle download from file sharing service. 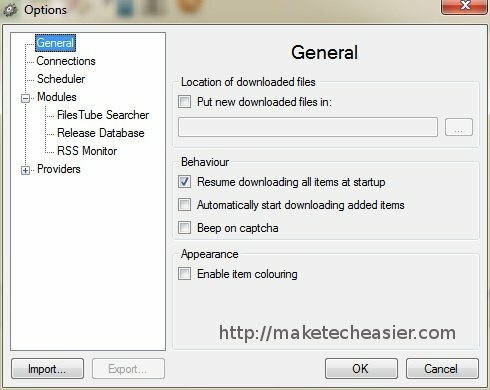 After the usual downloading and installing routine, you can start using MDownloader. 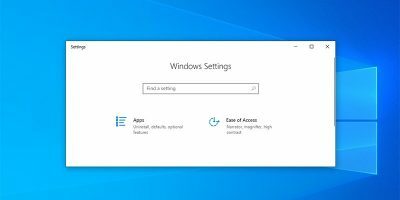 First time users will be greeted by the “Options” window, and the first item on the list is “General” options. 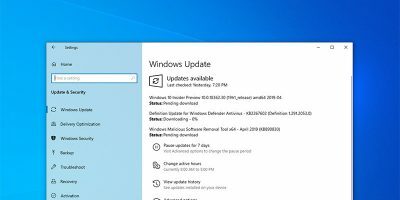 There are several things that can be set here, such as determining the default location of downloaded files, option to resume downloading at start up (only for servers which support resuming) and enabling color for downloaded items. Next are “Connections” option. Here is the place where you can apply proxy servers should you want to use one. To add a proxy server, just click on the “Add” button and enter the required data. 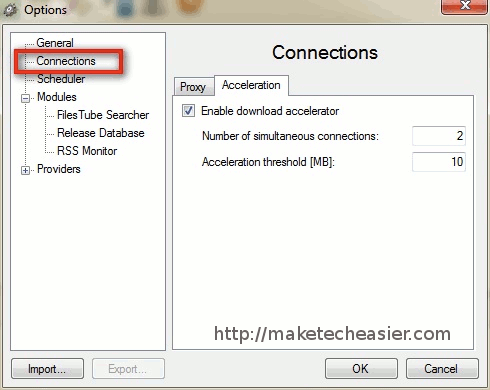 Still within the “Connections” options, there’s also the option to enable download accelerator and set the number of allowed simultaneous connections (between 2 to 4). 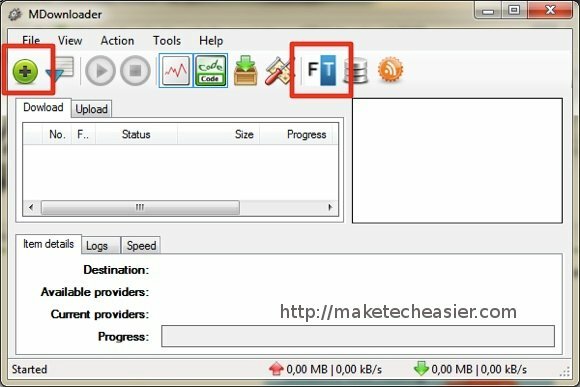 MDownloader allows users to do file searching on FilesTube and there are some adjustable settings under “Modules” options. 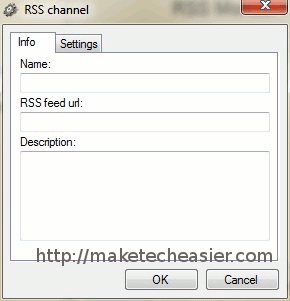 MDownloader also allows users to monitor items that they want to download on a regular basis by subscribing to the RSS. 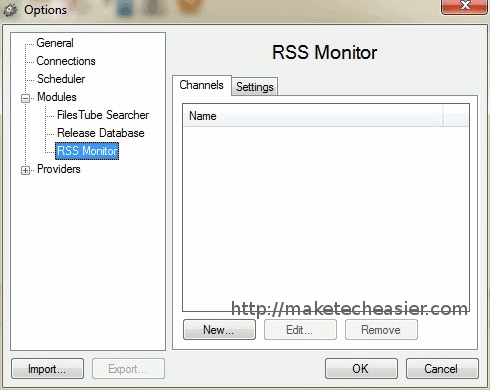 Just like “FilesTube Searcher“, the RSS Monitor option is located under “Modules” option too. To add RSS Subcription, click on the “New” button and fill in the blank fields with appropriate data. The last item on “Options” window is the list of supported file sharing services, or “Providers“. If you enable the “Priorities” option, you can arrange these providers by placing them upper or lower on the list. To do that, select one service and click the “Up” or “Down” button. 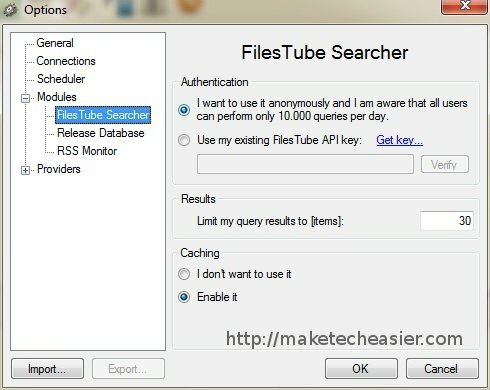 As mentioned above, MDownloader allows users to search and download files using FilesTube service. To do that, click on the white and blue “FT” icon on the main window. 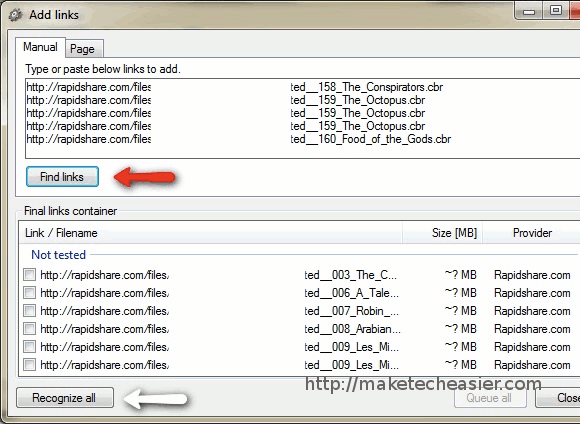 After the FilesTube Searcher window open, type in your search query and choose the file extension. 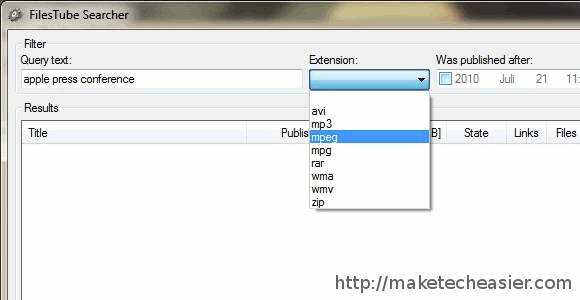 To search for any kind of file extension, leave the “Extension” option be. 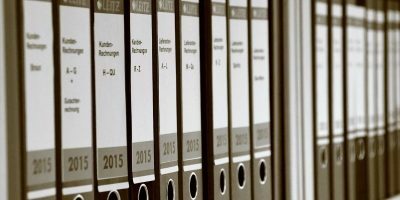 To narrow down the search result, you can also set the published date of the file, provided that you have the information about that. Then click the “Search” button. I must warn you that the search result will likely be contaminated by junks. So please be very careful on choosing the files to download. Another route that you can take is by adding the download link yourself. You can do this if you are armed with the links beforehand. Click the green “plus (+)” button from the main window, and paste the list of links to the “Add links” window – one link at a line. Click “Find links” to reveal the real download link of the files that you want, then click “Recognize all” button to confirm the download links. 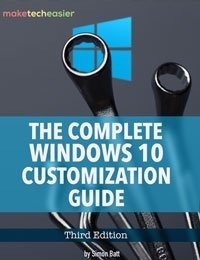 Depend on how many items you have on the list, and the speed of your internet connection, this process could take a while. After all the links have been recognized, click the “Queue all” to start the downloading process. 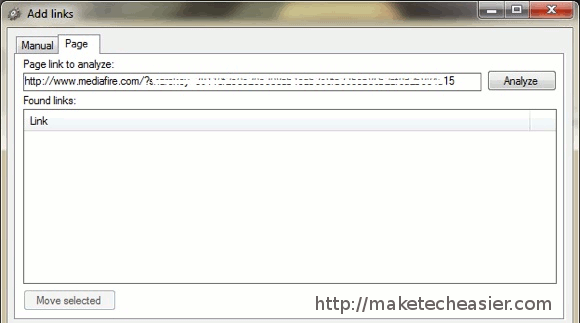 You can also have MDownloader analyze a web page to find download links. 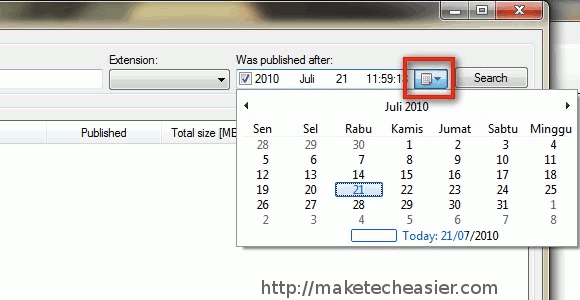 Choose “Page” tab, paste the URL of the page that you want to be analyzed, and click the “Analyze” button. Then the next steps are similar to the “Manual” process described above. The last step that you need to take is to wait for your files to be downloaded. You can repeat the process to add other files to the queue. 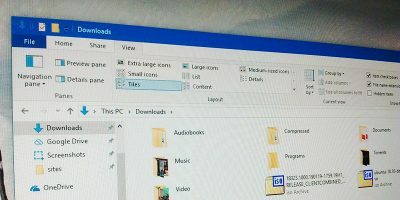 If you use Windows and you download tons of files from file sharing services, you’d find MDownloader as a valuable tool. 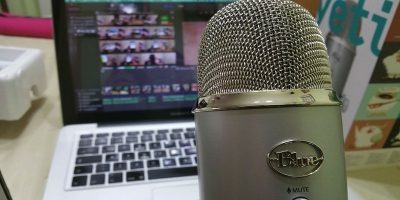 But you might also have your own alternatives to this line of applications, why not share them using the comment below?